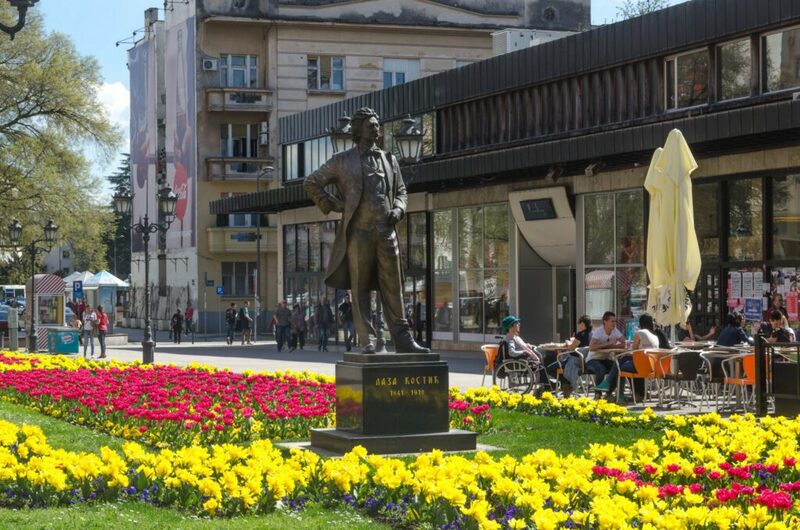 The monument to Laza Kostic, Serbian playwright, and poet, is set in the very center of Novi Sad, on the occasion of 170 years of his birth, 2011. It is situated in Modena. Laza Kostić is represented in a bronze figure 3 meters high, which is located on a stone pedestal. The figure of Laza Kostic holding a book in his hand is the work of academic sculptor Stevan Filipovic. The figure is sculpted in a foundry, “Stanisic”, in Čenej. Laza Kostic (1841-1910) attended high school in Novi Sad and spent a part of his life there. 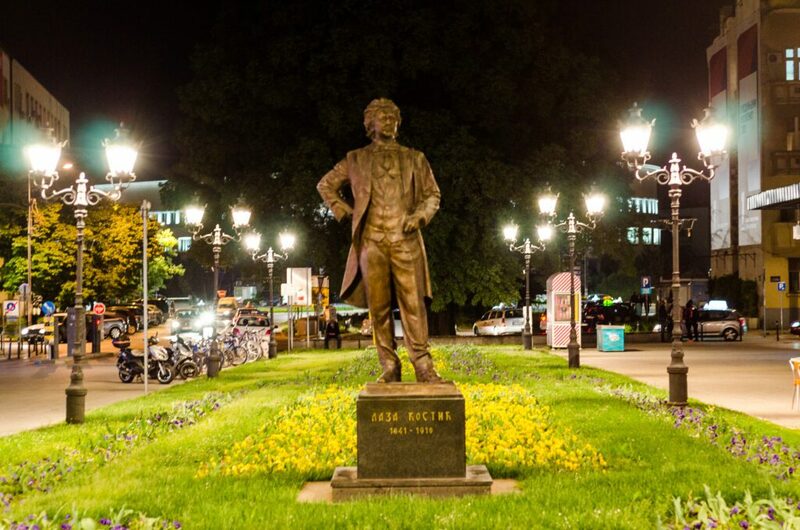 His poems were printed in Matica Srpska and plays performed on the stage of the Serbian National Theatre. 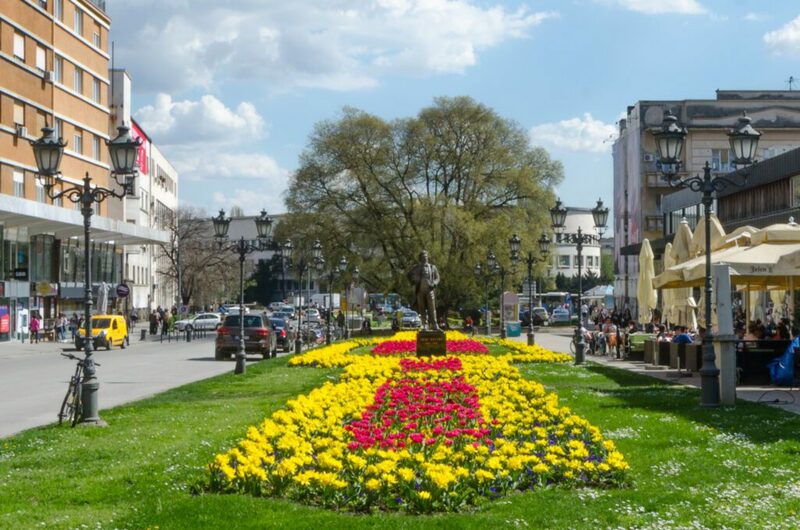 The erection of the sculpture of Laza Kostic in Novi Sad, citizens say thanks to him for all the contributions to the development of culture and enlightenment of the people. His most famous and most important literary works were poems: “Santa Maria della Salute”, “Među javom i med snom”, drama: “Maksim Crnojević”, “Pera Segedinac”, “Gordana”, a monograph, “O Jovanu Jovanoviću Zmaju, njegovom pevanju, mišljenju i pisanju, njegovom dobu”.